Remember when rumors were floating around about a possible Amy Winehouse hologram concert back in 2014? 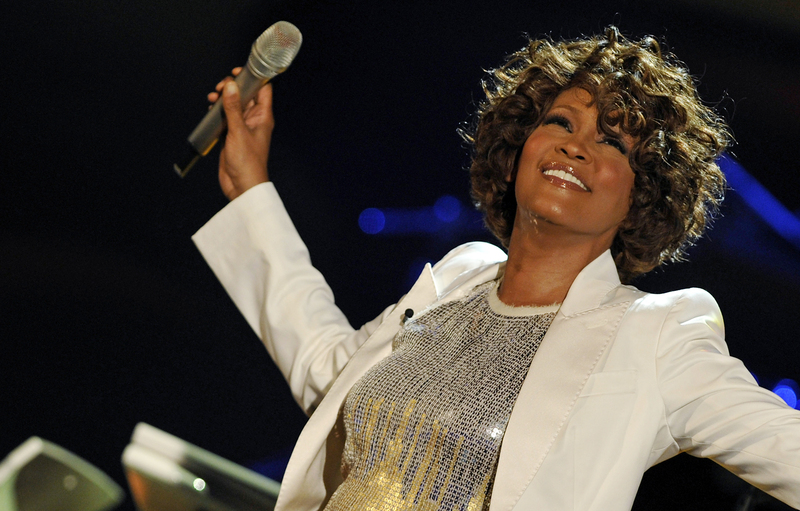 Yeah, I tried to forget about it too, but apparently the creator of "hologram concerts", Alki David, isn't done trying to bring our favorite late musicians back to the stage: According to Rolling Stone, a Whitney Houston hologram tour is now coming in 2016. Personally, as a big Houston fan myself, I can't help but feel irked by the idea: I mean, yes, it would be life changing to see the legend sing live (something I will always lament missing out on), but a hologram version of Houston just wouldn't have, I don't know, the same... soul. It's a tempting idea to play around with — even if it's an uncomfortable one. But it also poses a pretty heavy question: at what point should we — as fans, and otherwise — let the dead rest? How would we ever know whether or not Houston would sign off on her image being used in this way? Oh, that's right, we wouldn't. Houston, of course, won't be the first celebrity to be digitally resurrected. Back in 2016, a posthumous Tupac appearance at Coachella made headlines — and, in 2009, Elvis Presley had a digital duet with Celine Dion on American Idol. Even current celebrities have hopped on this trend: Mariah Carey, Will.i.am, Feist, and Carrie Underwood are just a few performers whose holograms have been used for live events. There's no denying that a space for hologram performances exists, but maybe it's time to open up a more sincere dialogue about the moral implications behind them.